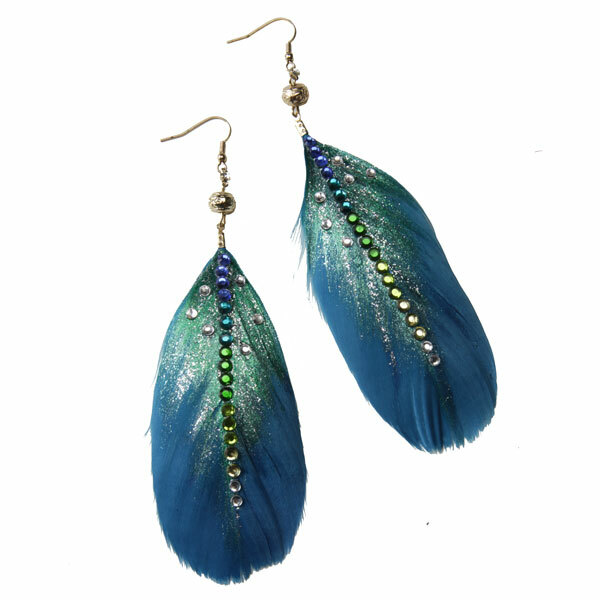 I love to wear feather earrings! And when I found these at Charming Charlie's (which I also love) I just knew I had to add glitter and rhinestones. In 10 or 15 minutes they turned from plain to fabulous! Go to iLoveToCreate to find out what you'll need to make some for yourself or to give away. I'll see you back here tomorrow for more crafts! These are awesome! Love the glitter and rhinestones, not too over the top, just right!